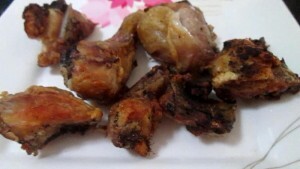 Philips AirFryer is Great for Cooking! 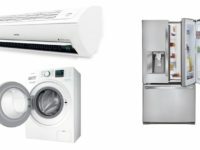 | SmartHomesNow! We saw the Philips Airfryer months ago and we were impressed with it. It was being demoed during a foodie’s cookbook launch. The Airfryer cooks or fries food by using its patented Rapid Air Technology. It lets home chefs prepare fried favorites with up to 80% less fat than conventional methods. And it can be used for roasting, grilling, and baking. We just had to review one for ourselves. 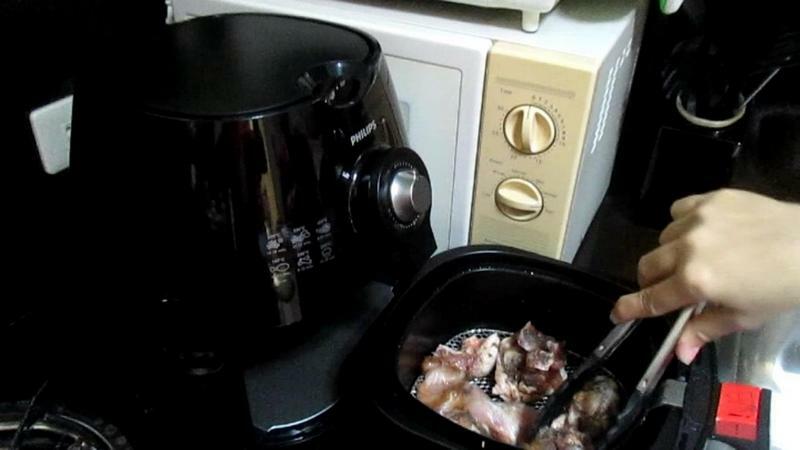 The Philips Airfryer model that we got isn’t the more high end. There are no buttons to push. 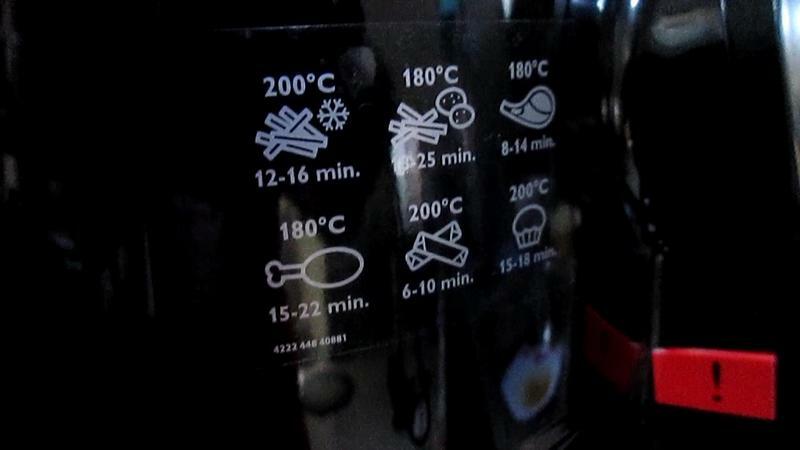 There are merely dials to set the cooking time and cooking temperature. 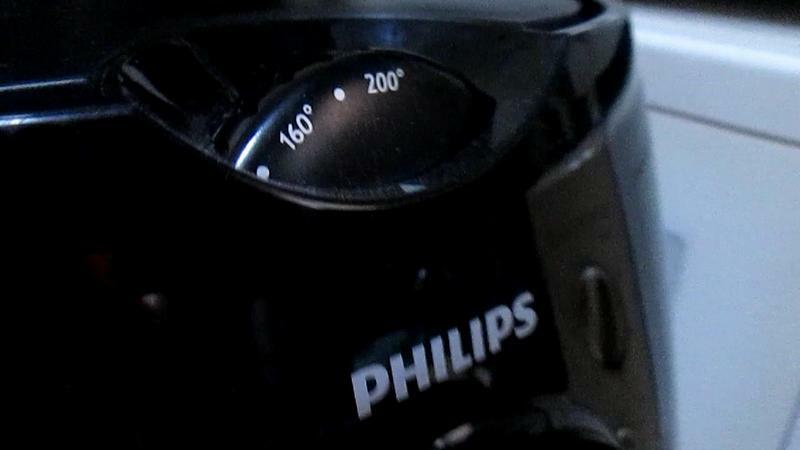 While some will find the analog controls a bit disappointing, to us, it’s simply easier to use. The Airfyer weighs more than 5 pounds. It’s a bit hefty but at least it’s small enough to be carried or lugged around the kitchen. Like we said earlier, it’s easy to use it. You only need to put your hand around the handle and push to open the frying/cooking container. You may need to use a bit of force to access the cooking container. We tested it by cooking several pieces of chicken. 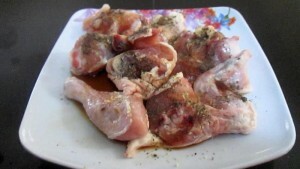 We already prepared the dish and marinated it in soy sauce, pepper, garlic and a few other ingredients. Now you probably know the “joys” of frying and cooking food. You have to prepare the pan you’re going to use and the oil and other ingredients you want to put in (plus the dish itself). Then you have to pre-heat the pan, put in the oil and let it boil. Then you have to put the meat, fish or whatever it is you want to cook into the pan with oil. If you’re not too careful in placing the meat or fish into the pan, it’ll sizzle and crackle to the point that it spews hot cooking oil. Then you get a skin burn or several if you’re not that careful. It’s one of the hazards of cooking and it’s something you had to live with. The great thing about the Philips Airfryer is that you don’t have to deal with that at all. Just put the meat part into the cooking container or basket, push it back in and set the dial the specified time. Then wait for it to cook. The Philips Airfryer that we got is bundled with a great cookbook. 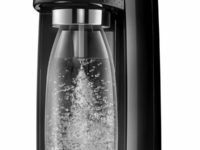 It has a ton of great dishes you can cook with the Airfryer But if you already have a dish prepared to cook (which we already had), then all you need to do is set the dials on the Philips Airfryer. 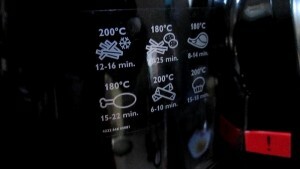 It has time settings to cook chicken, fish, meat, and even bake goodies. It’s electric by the way so it’s more convenient to use than your regular gas stove. You also need to set the cooking temperature. For chicken, it said that it only required 18 to 20 minutes. 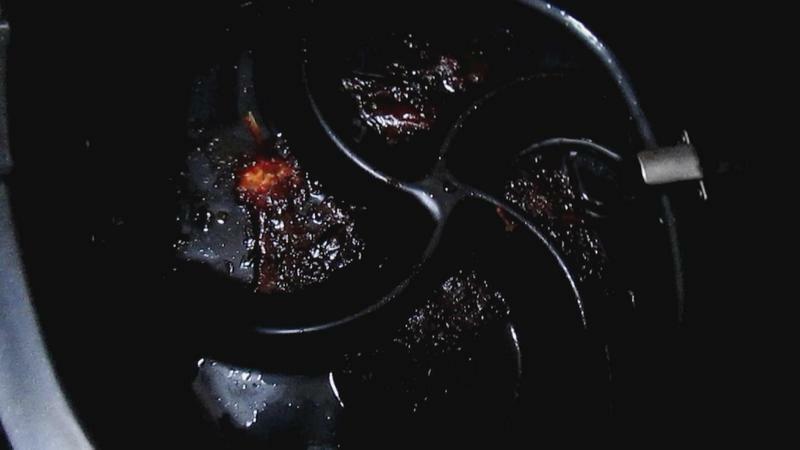 So after putting the chicken into the frying basket, we set the timer to 18 minutes and we let it rip. 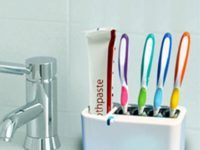 You won’t need to put in oil or pre-heat anything. When it cooks, the Philips Airfryer sounds like a microwave turned on. You can also check how the dish is cooking. All you need to do just pull out the basket via the handy dandy handle. Make sure that you pull it out of the Airfryer so you can inspect the food you’re cooking. When we used it the first time, we didn’t open it. We just let the Philips Airfyer do its thing. After 18 minutes, we inspected our dish and some parts burnt and some parts weren’t well cooked.. So we turned the parts of the chicken that wasn’t cooked well, put back the basket and set it to cook for another 5 minutes. Then everything was done. We tried cooking the same dish and this time, we opened it while it was cooking to inspect it. We turned over the meat part and then put the basket back in. After it finished Airfying it, we pulled out the basket and inspected it. It was cooked to our needs, down to the core or insides of the chicken part. 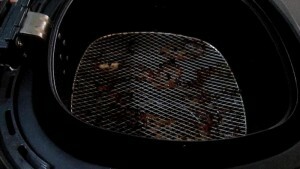 Some parts were burnt though so it’s always better to pull out the basket and check it while it’s cooking. Some of chicken parts stuck to the frying rack but it was okay. But the really great thing about the Philips Airfyer is it got rid of of some excess fat. We lifted the rack and we saw the fat that probably dripped down while it was cooking. So the chicken that we cooked not only tasted great, it was healthier to eat. We compared the cooked chicken with the Philips Airfyer with the conventional cooking it with a frying pan and oil and the taste wasn’t that far off. Sure, the chicken cooked with boiling oil tasted juicier but you’re getting the greasy and probably unhealthy oils cooked in it. 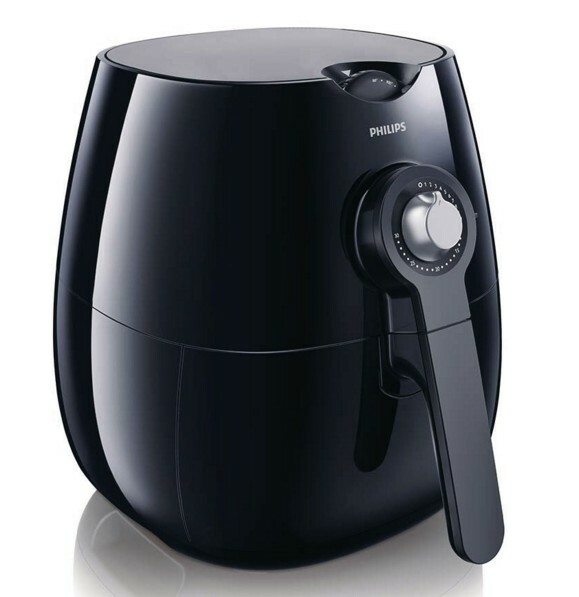 Whereas the Philips Airfryer cooks everything with its patented Airfryer tech and it is probably healthier. And you won’t have to deal with oil burns. And the basket and rack are easy to clean. It’s a fry and forget cooking appliance. We highly recommend the Philips Airfryer for people who want to eat healthier and cook easier. This is also a great cooking appliance if you’re living in a condo and space is a premium. 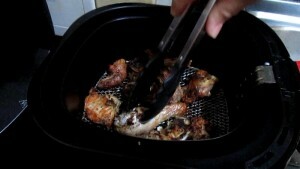 The Philips Airfryer is a great cooking appliance. 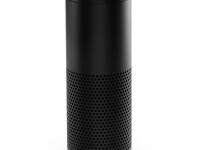 It lets you fry, cook, grill and bake food easier and even make it healthier. You'll need to read through the manual once to use to it but afterwards, it's really easy to use. Cleaning and washing is easier as well. We highly recommend the Philips Airfryer.